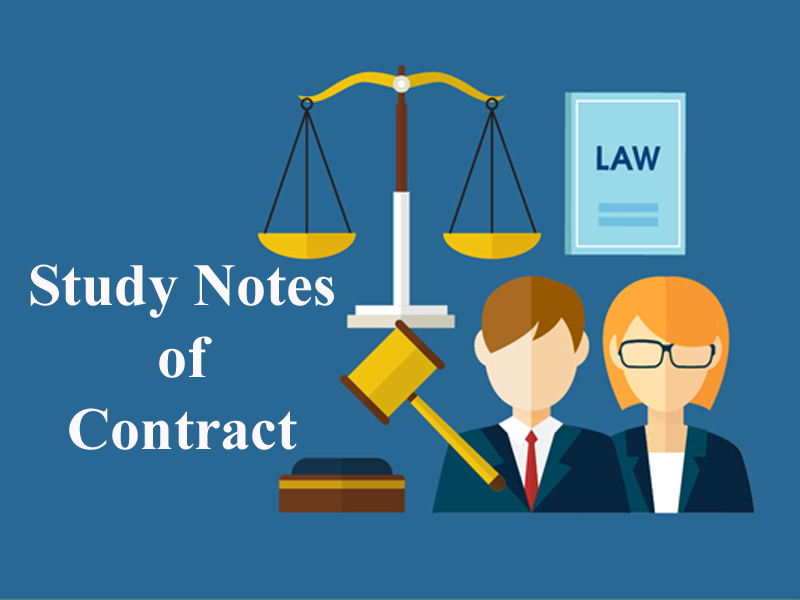 Here we are providing you updated and most relevant Study notes on Contract of Capacity of Parties for Law Entrance Exam. These study notes are highly recommendable for all those who aspire to crack CLAT, DULLB, AILET and other Law Entrance Exam. One of the most important parts of making an agreement is the parties entering into it must be capable/ incapacity to enter into the agreement. If the parties are lacking in this element then the agreement is void according to Indian Contract Act. Every person is competent to contract who has gained the age of majority i.e., 18 years in case of natural guardianship and 21 years in case of guardianship provided by the court, one must be of sound mind and must not be disqualified by law. Where a minor is charged with obligations and the other contracting party seeks to enforce those obligations against the minor, the agreement is deemed void ab-initio. A minor borrowed a sum of money after mortgaging his property. The mortgagee moved the Court for repayment of the sum borrowed. The Privy Council held that money advanced to a minor could not be recovered because an agreement with a minor is void ab. Initio. Note: A minor is not liable even if he provides false information and acts fraudulently. In a contract, if a minor is a beneficiary, the contract is valid and enforceable. In this case, a minor was the mortgagee. The minor had lent money to an adult mortgagor. The Madras High Court held that where a minor is a beneficiary, the contract would be enforced in favour of the minor. Ratification means subsequent acceptance or adoption of an act/agreement. Since a minor’s agreement is void ab-initio, the minor on his attaining majority cannot ratify the agreement entered during his minority. A minor had borrowed money during his minority. Upon attaining majority, he executed a promissory note in favour of the creditor to repay the borrowed sum. It was held that the promissory note was unenforceable, as ratification of a void agreement was not possible. Note: The loan transaction between the minor and the creditor was a void agreement. Estoppel means, “When one person has by words spoken, written or by conduct, leads another one to believe, the certain thing to be true, and the latter acts upon such belief, he is prevented from denying the truth of that thing.” A minor is not stopped from setting up the plea of the minority. In other words, he may plead infancy to escape from a liability. A minor boy borrowed funds, falsely representing that he was of full age. Later, he pleaded before the court he was only a minor and hence not in a position to repay. The court held that the rule of Estoppel does not apply to minors and held that the boy was not liable. When a minor is supplied with the necessaries of life, by another person, the who so supplied is entitled to be reimbursed from the property of the minor. Note: The above rule is applicable to a person of unsound mind also. Note: A minor is not personally liable even for necessaries supplied. A minor cannot become a partner as the partnership agreement requires the persons entering into it should be competent in accordance with law. Minor, being incapable of contracting, cannot become a full-fledged partner. However, Sec.30 of the Indian Partnership Act permits a minor to be admitted to the benefits partnership firm. The parents of a minor are not liable for agreements made by a minor unless the minor acts on behalf of the parents. The parents are liable only if they are acting on behalf of the minor for a particular agreement otherwise no liability. A minor cannot be declared insolvent, as he is not personally liable for his debts. A minor can not be held personally liable even in case of necessaries. A minor can be appointed as an agent. The principal will be responsible to third parties for the acts of his minor agent. However, the principal cannot hold the minor agent personally liable for any wrongful acts. To become a member of a company it requires buying of shares of the company and he cannot buy shares as it requires entering into agreement so a minor cannot become a member of a company, as he is incompetent to contract. He cannot purchase shares in the company. Where he inherits shares, the name of the guardian will be entered in the Register of Members. Who is not competent to contract? A person cannot enter into contracts with alien enemies. When a country is declared enemy character then the people of the country is called as alien enemies. Generally, a country is declared enemy character at the time of war. An insolvent person is incompetent to contract with respect to his property. They can enter into contracts and enforce them, but they cannot be sued in our courts without the permission of the Central Government. Note: If a person gets attacks of insanity and otherwise behaves like a sound mind person. In such cases what was his state of mind while entering into the agreement. If it is proved that he was of sound mind when he entered into the contract. The contract is valid otherwise it would be void. 5. Every person is competent to contract who is of the age of majority according to the law to which he is subject, and who is of sound mind and is not disqualified from contracting by any law to which he is subject. Which Sec. of the Indian Contract Act has been mentioned above? 9. Can a minor on attaining majority ratify the contract? 10. A minor boy borrowed funds, falsely representing that he was of full age. Will the boy be held liable? 11. Supplying necessities to a minor or lunatic would require them to reimburse the other party. 12. Can a minor become a partner? 13. If a minor, acts on behalf of the parents will they be held liable? 14. A minor can be appointed as an agent. Can the principal hold the minor liable for any wrongful acts? 15. Will the parents be liable if they are acting for the minor? 16. Can a minor become a member of a company? 22. A makes an offer to B a person who is usually of unsound mind. At the time he was of sound mind. Will this be valid? 23. Maya marries Charlie when he is intoxicated. Is this valid? Get the updated and most relevant study notes on Contract of Capacity of Parties for upcoming CLAT and other Law Entrance Examination.